The Chancel Choir provides a wide variety of types of choral music for the traditional Sunday services in the Sanctuary as well as special music for services during Advent and Easter. The Chancel Choir sings each Sunday except for those Sunday’s with special children’s programs. Its membership is made up of persons with a wide variety of musical skills and experience; some do not read music at all; others read music, but with some limitations; still others are trained musicians with considerable background in choral music. This photo shows the choir performing Mozart’s Requim. Auditions are not required and persons interested in joining the choir should come to its regular Wednesday evening rehearsals at 7:30 p.m. Contact Amy McCurley for more information. 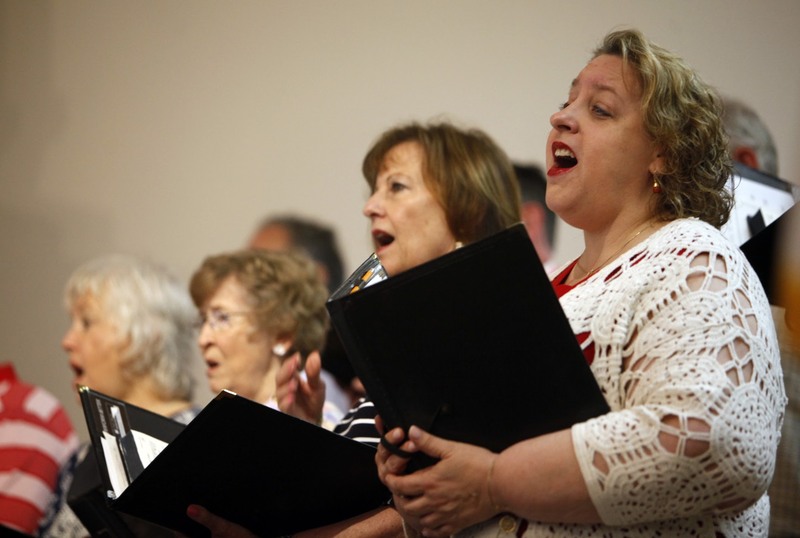 The Joyful Noise provides music for the 8:15 a.m. service on the first and third Sundays of each month. They rehearse on those mornings just prior to the service. Love of singing the traditional hymns is the only requirement! The Youth Choir is available for 7th–12th grade young people. This group offers a threat-free and accepting environment for young people to learn choral singing and the opportunity to be a part of the Sunday worship service on special occasions. 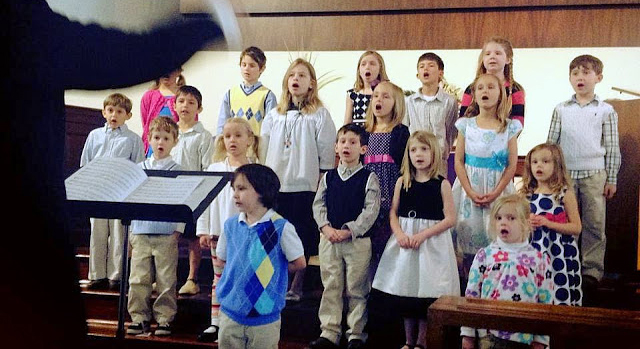 The Children’s Choir is for children 4 years old through 6th grades. The children learn various Christian music that is sung during the year for church worship services.